If you want, you can tunnel all the way to the center of Portal Knights’ floating island world. There’s just one problem: it’s hollow. Portal Knights hit Steam Early Access yesterday, and it’s been in the top ten best sellers ever since. If you find yourself thinking, “Gee, that sure reminds me of Minecraft, Terraria, Cubeworld, Trove, Starbound, and Mark Wahlberg’s upcoming foray into the genre, Blocky Block And The Voxel Bunch,” you’re not far off the mark. 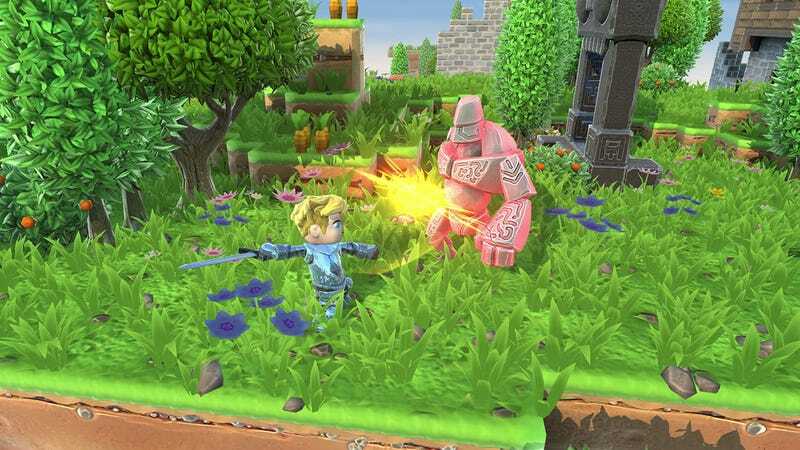 Portal Knights is a game where you explore, collect blocks and seeds of various sorts, craft weapons and armor, and build fortresses (or, if you’re me, a single, finger-like pillar that scrapes the sky and pops a pimple on the face of God Himself). You can bring three friends along for the ride, or you can fly solo. Instead of adventuring through one infinite procedurally generated world, you traverse an endless procession of smaller ones, all of which are connected by portals that you have to activate with special blocks. So there’s your basic formula: go to a place, kill stuff, maybe find a dungeon or a special treasure or a boss, collect colored blocks, put them in a portal, move on to the next place, repeat. 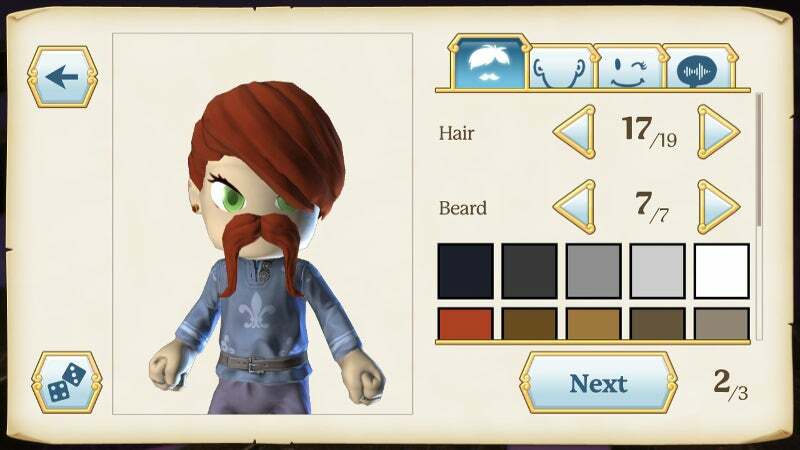 There aren’t all that many options, but there’s an excellent selection of facial hair, and you can put handlebar mustaches on ladies! It’s all just so charming. Unfortunately, in its current Early Access state, the experience runs out of Steam fast. Everything is simple and repetitive: classes, combat, progression, exploration, etc. Pieces of its design don’t fit together, either. Case in point: why build an elaborate fort if you’re just gonna portal to a new area in 15 minutes? The developers plan to add More Content (worlds, bosses, recipes, etc) before the full release, but I feel like it’s the foundation that needs work. If nothing else, they say that deeper RPG mechanics are on the way. That’s good, because what’s there now is as barebones as it gets. To contact the author of this post, write to [email protected] or find him on Twitter @vahn16.